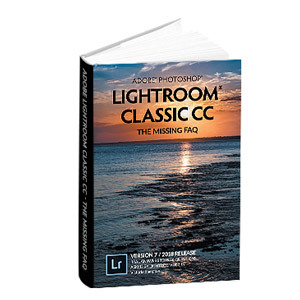 Lightroom Classic Tutorials > Catalogs > Should I use one big catalog, or multiple smaller catalogs? Should I use one big catalog, or multiple smaller catalogs? There’s no ‘right’ number of catalogs. As with the rest of your Lightroom workflow, it depends on how you work. So should you use multiple catalogs for your main working catalog, or should you split your photos into multiple catalogs? We’re not referring to temporary catalogs which are created for a purpose, for example, to take a subset of photos to another machine before later merging them back in, but more specifically your main working or master catalog. The main benefit of keeping all of your photos in a DAM (Digital Asset Management) system is being able to easily search through them and find specific photos, but there are a few other pros and cons to consider. Smaller catalogs may be faster on low spec hardware. Multiple catalogs give a clear distinction between types of photography, i.e., work vs home. If multiple users need to be working on photos at the same time, it’s easier to track individual catalogs. Can’t search across multiple catalogs. Potential variation in metadata and keyword spellings. Have to keep switching catalogs. Some photos not in any catalog. Duplicate photos in multiple catalogs by accident. How many photos are you working on at any one time? And how many do you have altogether? How fast is your computer—can it cope with a huge catalog at a reasonable speed? Or does it run much better with a small catalog? Do you want to be able to search through all of your photos to find a specific photo? Or do you have another DAM system that you prefer to use for cataloging your photos? If you decide to work across multiple catalogs, how are you going to make sure your keyword lists are the same in all of your catalogs? If you use multiple catalogs, is there going to be any crossover, with the same photos appearing in more than one catalog? How would you keep track of which photos are in which catalog? 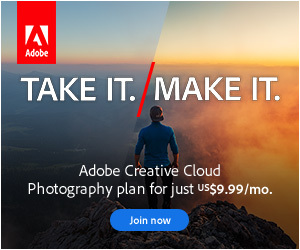 Do you want to keep the photos in your catalog indefinitely or just while you’re working on them, treating Lightroom more like a basic raw processor? How would you keep track of catalogs and their backups? Your answers will likely depend on your reasons for using Lightroom. For some people, using multiple catalogs isn’t a problem—they already have another system they use for DAM, and they want to use Lightroom for the other tools it offers. For example, some wedding photographers may decide to have a catalog for each wedding, and if they know that a photo from Mark & Kate’s wedding is going to be in Mark & Kate’s catalog, finding it really isn’t a problem. But then, if you had to find a photo from a specific venue, or to use for publicity, you’d have to search through multiple catalogs. Many high-volume photographers need the best of both worlds—a small fast catalog for working on their current photos, and then transferring them into a large searchable archive catalog for storing completed photos. That’s certainly another viable option, and a good compromise for many. There are some easy distinctions, for example, you may also decide to keep personal photos entirely separate from work photos. Those kind of clear-cut distinctions work well, as long as there’s never any crossover between the two. Keeping the same photo in multiple catalogs is best avoided, as it becomes very confusing! The more catalogs you have, the harder they become to track.